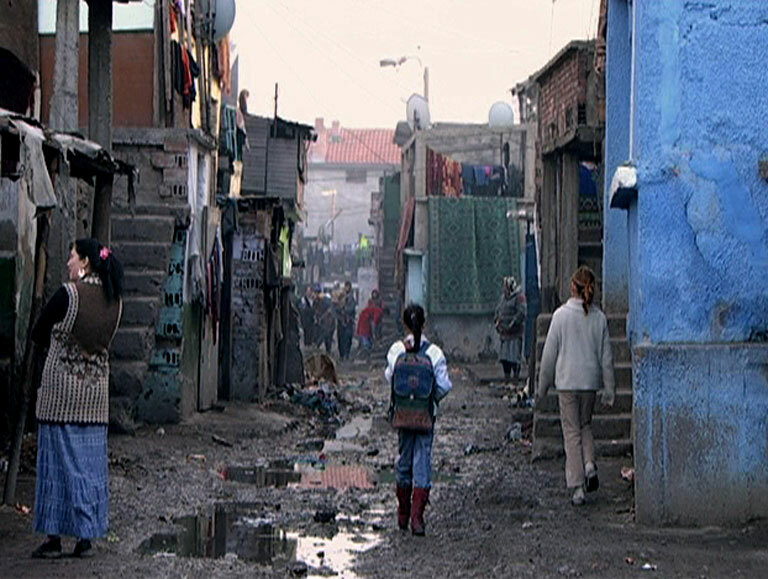 Nadezhda, in Bulgaria, is one of the biggest and worst Roma ghettos in Europe. 20,000 people live packed into an unsanitary environment, walled off from the city by a three metre high wall. 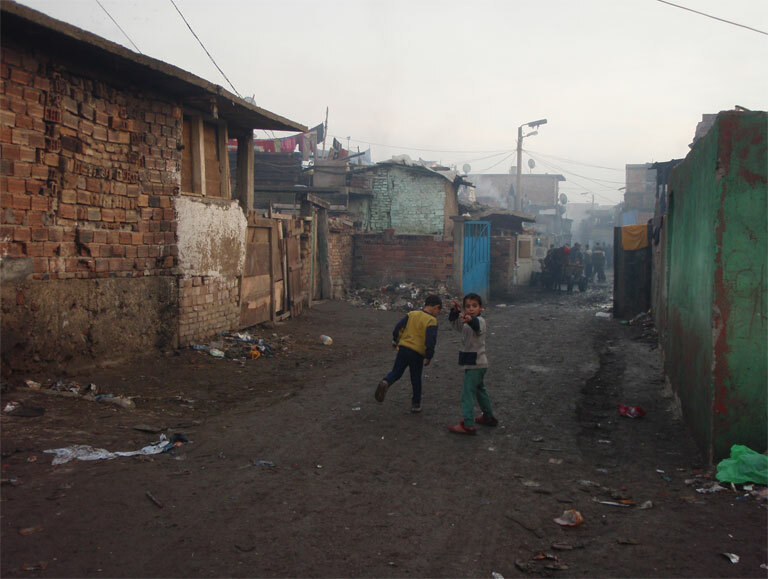 Nadezhda itself is strikingly symbolic of the apartheid that most Roma suffer from in Europe today. A glimmer of hope exists through education between the segregated schools in the ghetto and the rare few that welcome Rom children on the outside.